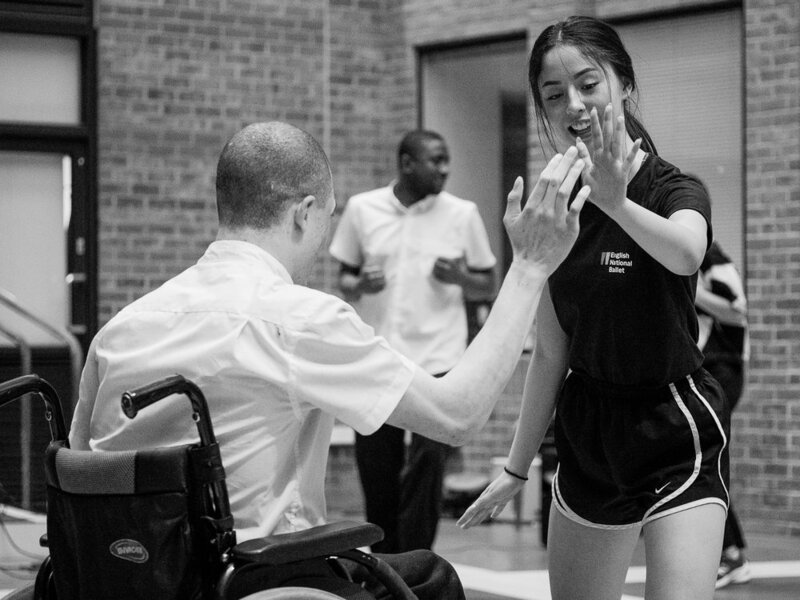 Corali is a leader in dance created by artists with a learning disability. Our dancers are at the heart of all our artistic activity. Hear from people who have been inspired by our work in the last 30 years! We change lives through dance. Here's how. Our company of professional artists with a learning disability create work, lead workshops and gain paid employment. Corali has been creating professional and participatory opportunities for people with a learning disability for 30 years. Over 2000 people engage with our work as audiences each year, changing perceptions of disability. We offer an exciting programme of engagement and outreach activities in a variety of arts and education settings. Corali’s youth company made up of young dancers aged 13 - 25. They perform at national festivals and events, and learn what it takes to be part of a company. A participatory creative arts programme in partnership with Ovalhouse for people aged 8 – 14 years with ASD, a learning disability and complex needs in Lambeth. We'd love you to be part of what we do! Do you have a learning disability and love dance? Or just want to see what it's like? Join a Corali project! As a registered charity, we need your support to keep changing the lives of people with learning disabilities. Whether you're a dance fanatic or an office whizz with some time to give, we'd love to hear from you.